Welcome Victoria Cook as a marketing contributor to our blog. Please enjoy. Have you worried that an open networking event has wasted your time because several of your competitors attended? You can confidently say the event was worthwhile if you know what sets YOU apart from the rest. I’m not talking about your fabulous customer service (isn’t that expected anyway?) or the greatness of your specific product or service rather, what is it that makes YOU different, special, or the best option for a specific clientele. This information is why conducting competitor market research is an essential part of an effective marketing program. Not only is it a great way to assess and size up the competition, but more importantly, market intelligence helps you understand the expectations of the people you are trying to attract - - your BEST clients. Is your competition someone who offers the exact same services as you or is it someone who offers a different type of solution? Clients have a finite amount of money to spend. They may or may not have decided to spend their hard-earned dollars on what you have to sell. Knowing what it is you are competing against and the experience your clients look for will help you form an effective and client attracting marketing message. Understanding industry changes and trends will allow you make more effective business decisions. It is also a way of positioning yourself as an industry expert able to better meet the needs of your clients. Look to the thought leaders in your industry to see what they are talking about. Follow the sales in your specific category. If you have a product, you want to know if sales in this market are increasing or decreasing. If you offer a service, say to dentists, look for dentist organizations. Then investigate the number of people being trained and working in that field: is the number increasing or decreasing? This is a great way to identify trends vs. only looking at the things right in front of us. For example, just because the dental office in town went out of business does not indicate the dental industry as a whole is declining. Following the industry trends and changes will keep you up-to-date on the latest information and enable you to share that information with your market and be seen as an industry leader. Reviewing the various markets your competitors serve is a great way to discover opportunities in your market place. Look for the hungry, underserved market that would react best to your brand. In Russ Fradin’s article “How to Identify and Reach Underserved Markets” (http://www.entrepreneur.com/article/207244) he states, “When you think about your audience based on things like interests, ethnicities or religions, rather than just demographics, you open up a much broader range of opportunities... where your message can stand out.” It also offers the chance to become an expert in this specific market. When you understand the market’s key challenges, secret desires, fears, and wants, speaking to it about the solutions you bring is easier and more effective. One of my clients writes articles, newsletters, and marketing copy for businesses. She has found an underserved market she’s passionate about helping in those business owners for whom English is a second language. This sets her apart from some of her competition and shows her market she understands their specific challenges and has a solution to their unique problem. Uncovering underserved markets provides opportunities businesses can capitalize upon without always needing to compete. A popular author, speaker and internationally-recognized Marketing Coach, Victoria Cook is an expert on guilt-free success. 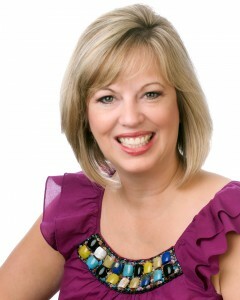 She is the director of The Center for Guilt-Free Success, and an official instructor for the DIY Marketing Center. Women entrepreneurs can find like-minded business owners, group classes, and individual coaching programs at CenterForGuiltFreeSuccess.com. Victoria also offers articles, resources, and other goal-setting and marketing tools on her website. Really good to see the update here about internet marketing. This is really great blog. we cant wait to increase our companies site traffic or increase its visitors. Thanks a lot this would give us great hints and revised our strategy.